The Sogetsu Exhibition is on! Until March 19th, Monday 7pm. 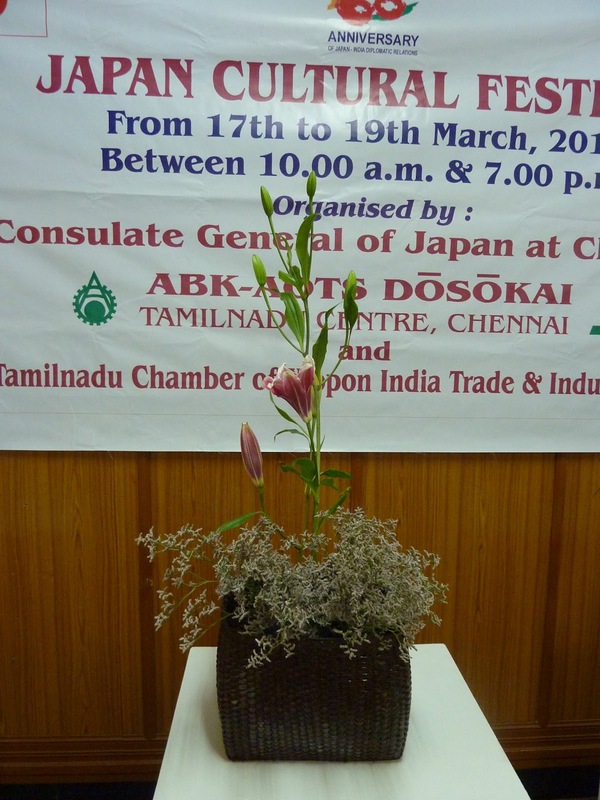 The Sogetsu Study Group will take part in the ABK-AOTS Dosokai celebrations, commemorating 60 years of Indo-Japan friendship. 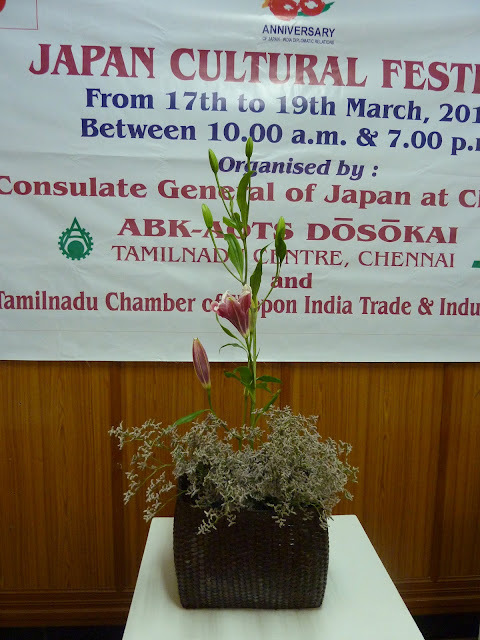 The Ikebana exhibition will be open from Saturday March 17th until Monday March 19th, from 10 am to 6 pm.